In case you are wondering whether or not Flash Player is installed on your Mac and want to uninstall Adobe Flash Player from your Mac for security reasons, you will find below the steps to do so. While the general trend is to get away from Flash due to security issues related with Adobe’s Flash Player, there are still some websites that feature Flash based Videos. By default, Flash Player is not installed on Mac, but the Safari browser on Mac still supports Flash and allows you to install Adobe Flash Player. In case you are using Google’s Chrome Browser on Mac, it comes with in-built support for Flash Player and allows you to watch Flash Videos without downloading Flash Player from Adobe. According to Google, Flash will be completely removed from its Chrome Browser by the end of 2020, at which point Adobe will cease development and distribution of Flash Player. 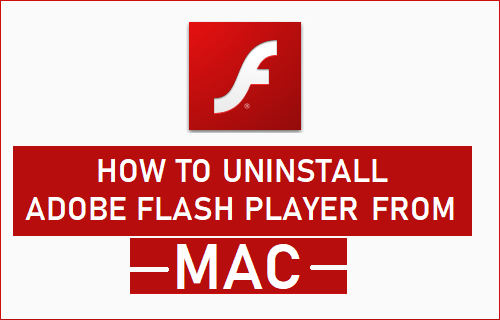 If you are concerned about Flash Player being installed on Mac and want to get rid of it, you can follow the steps as provided below to remove Flash Player from your Mac. If Flash Player is removed from Mac, you won’t really miss it. You should be able to browse almost the entire web without using Flash Player. In case you happen to come across a website featuring Flash Videos, you won’t be able to play such videos using the Safari browser on your Mac. In case the Flash Video is irresistible and worth watching, you can make use of Google’s Chrome Browser to watch the Video. Chrome Browser comes with in-built support for Flash content and allows you to watch Flash Videos without having to download Flash Player. In order to check whether or not Flash Player is installed on your Mac, try visiting a website with Flash Content such as Channel 4 using Safari browser. 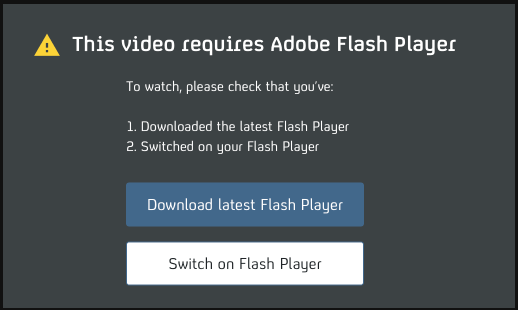 Most likely you will see “This video requires Adobe Flash Player” popup. This means, either Flash Player is not installed on your Mac or it is installed and needs to be switched on. Click on Switch on Flash Player button and see what happens next. If the Flash Video starts playing or you are directed to settings page on Mac, it confirms that Flash Player is installed on your Mac. If you are directed to Adobe’s website (get.Adobe.com/flashplayer), it means that Flash Player is not installed on your Mac. If Flash is installed on your Mac, you can either wait for the next macOS update, which will automatically remove Flash player from Mac or manually remove Adobe Flash Player from Mac by following the steps below. 1. Download Flash Player Uninstaller from Adobe’s official Website. Note: You will find different versions of Flash Uninstaller on Adobe’s website. Download the most recent version as available and it should cover all subsequent versions of macOS. 2. The Flash Player Uninstaller will be downloaded to the Downloads Folder on your Mac. 3. Launch Flash Player Uninstaller and click on Uninstall to begin the process. 4. On the next pop-up, enter your Admin Password and click on OK.
5. 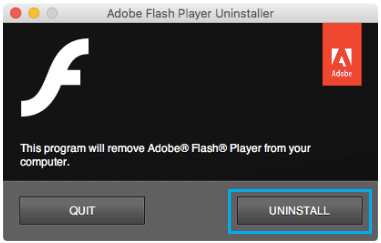 Allow the Uninstaller to complete the process of Uninstalling Adobe Flash Player. According to Adobe, you should also delete certain Folders on Mac after the Uninstaller has finished removing Flash Player from Mac. 1. 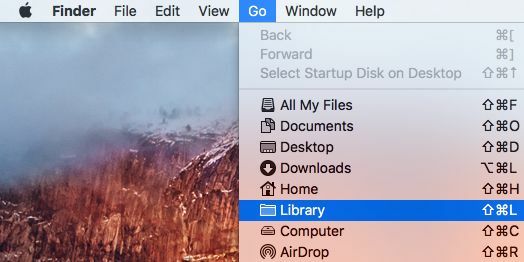 Click on the Finder icon on your Mac. 2. Next, click on the Go option in top menu bar, hold down the Alt (or Option) key and click on the Library option.